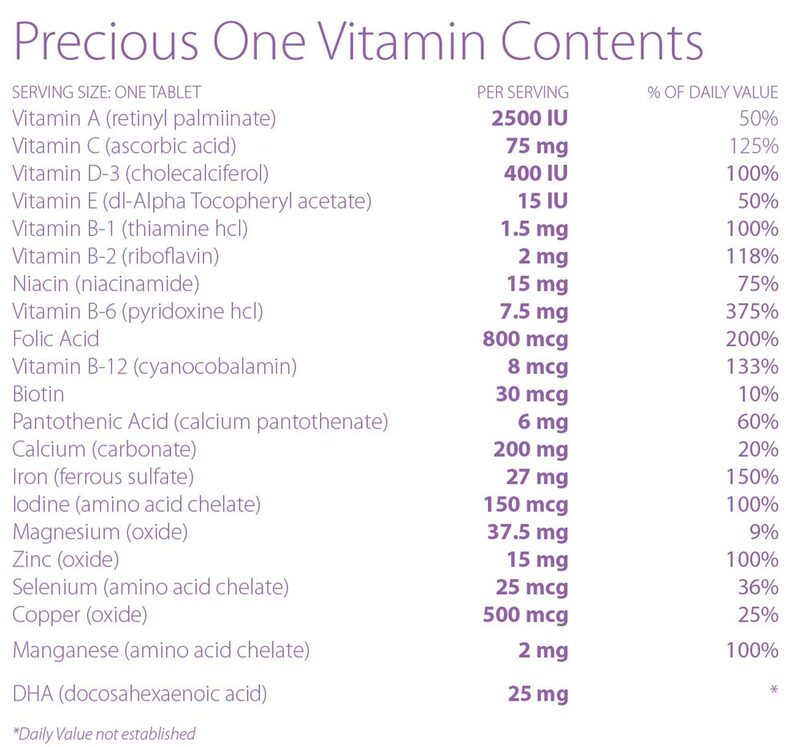 Heritage House offers high quality Precious One bottled prenatal vitamins. The bottles have a safety cap and come 60 tablets to a bottle (a two-month supply). This product is very grantable and provides an excellent way for you to serve your client base, while giving them a reason to keep coming back. 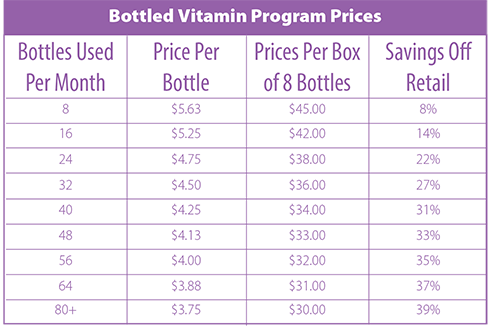 Buy them by the bottle, in boxes of eight bottles each, or choose an automatic monthly shipment to save even more!